Hi everyone! It's Broni here with you today. I finally pulled out my altered hard-back book and decided it was time to add something on the inside! And here's what I came up with. 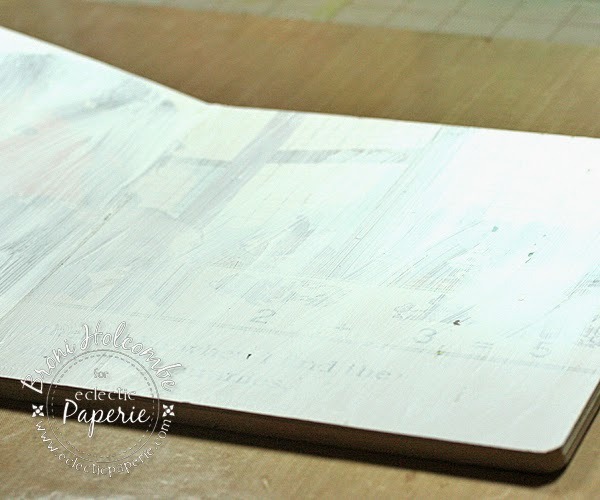 I applied gesso to the book pages and let it dry thoroughly. 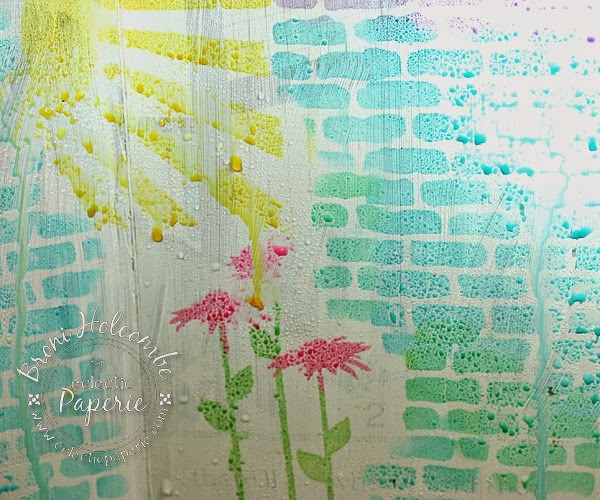 I added images and a background using the Brick Wall stencil, Wildflowers and a Bird stencil, and Rays stencil, along with Distress inks in Mustard Seed, Mowed Lawn, Picked Raspberry, Peacock Feathers, and Dusty Concord. 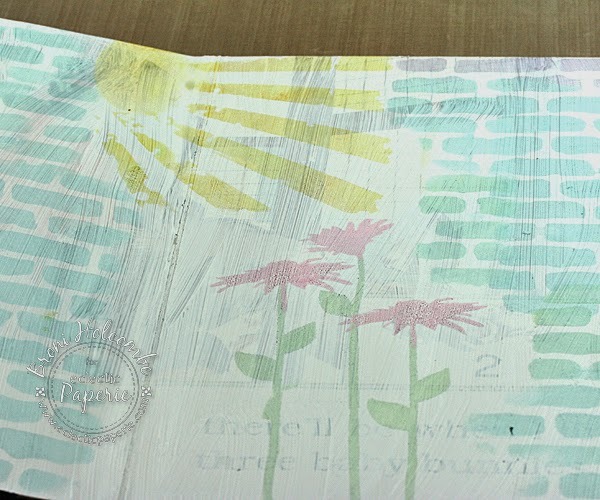 I misted the pages with water and stood the book up to allow some of the drips to flow to the bottom. I dabbed some of the excess water with a paper towel then finished drying it with my Heat tool. Then I added some definition lines with an artist's pen. 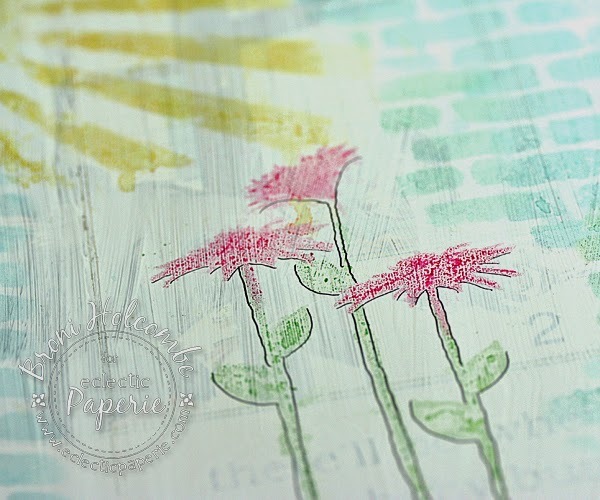 Next I stamped my sentiment (from PTI) using Jet Black Archival ink. 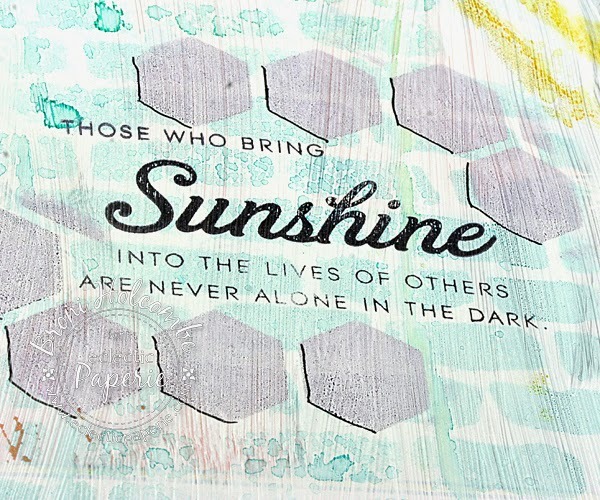 I added a "frame" for the sentiment by using my Mini Hexagons stencil with some Dusty Concord ink, then adding lines with my pen. 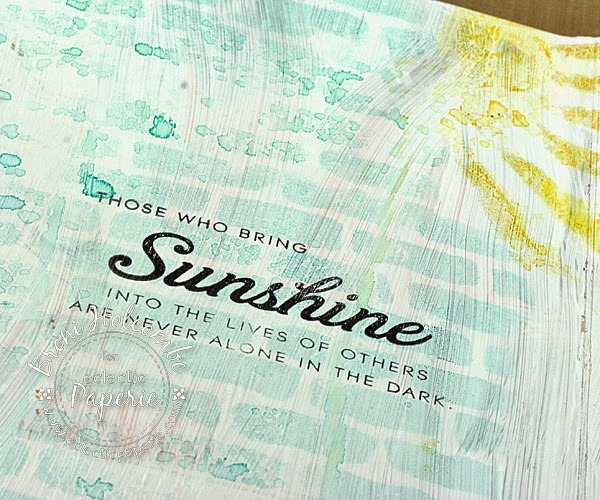 Then I sprinkled some clear embossing powder onto the sun rays and heat embossed them. They look like liquid sunshine!! Lastly I added a few accents using my Well Rounded stencil and some of the same inks, and added some black hexagons in the corners for more definition. Then I lightly sponged in some of the background. It was fun! I tried to stop this time before I added "too much". Sometimes it's hard to know when that is! Thanks so much for dropping in today! Have a wonderful weekend! Nice cover...loved the pastel look and colors dripping! 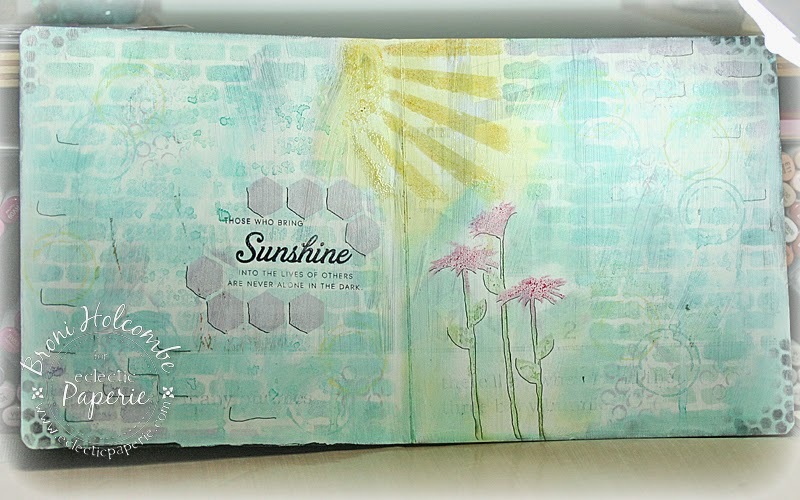 Fabulous bright and sunny page! 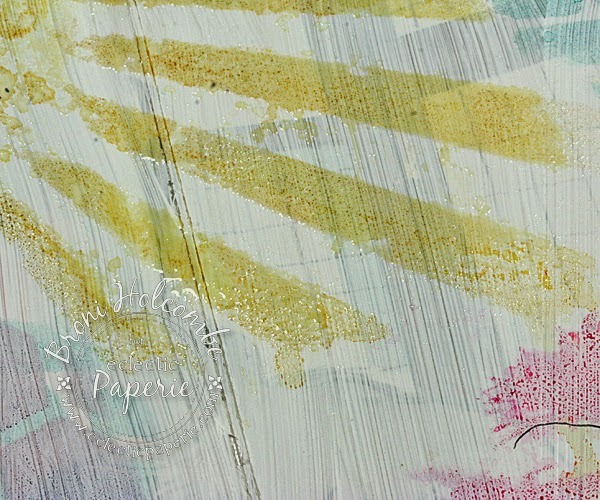 what a wonderful sunshine design on your pages Broni! 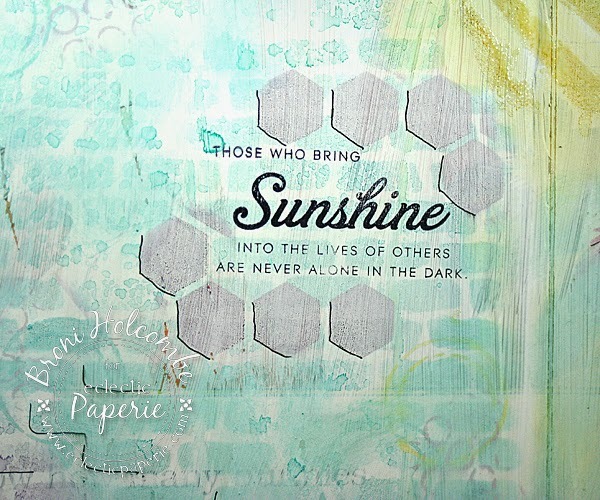 Love all the stenciling! Love it Broni. 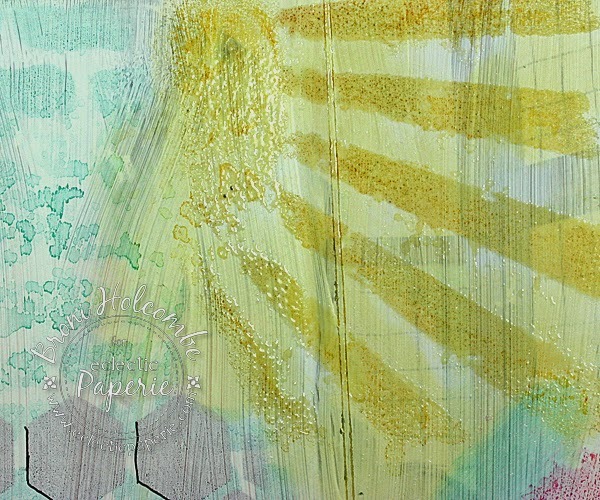 I love the brush lines in the gesso because it adds to make it look like part of the sun rays. Gorgeous. So BEAUTIFUL! 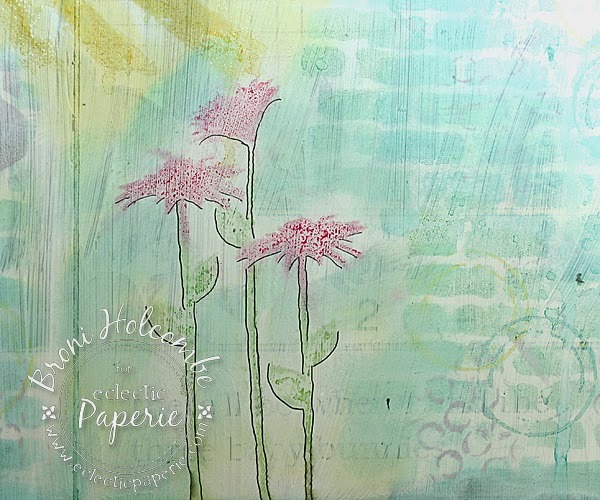 LOVE your soft colors and textures, Broni! Thank you for sharing your art !!!! this is beautiful. love the colors and design.